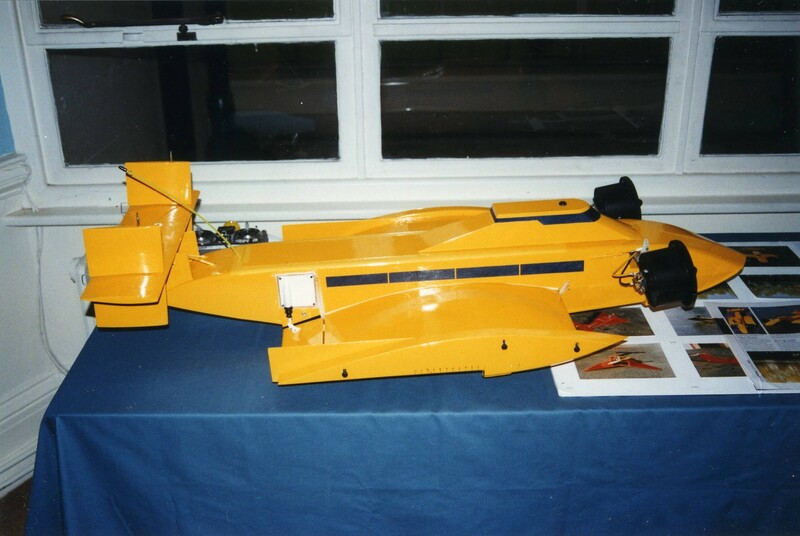 MK2 experimental research model displayed at RINA International Conference on Wing-In-Ground-Effect Craft 1997, London. Photo by Martin Grimm. 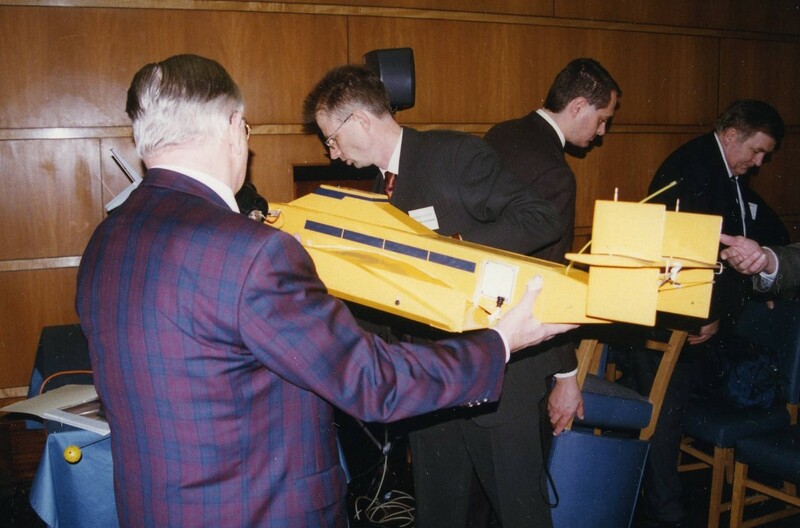 Graham Taylor demonstrates features of model to Mr Guther Jourg.. RINA 1997, London. 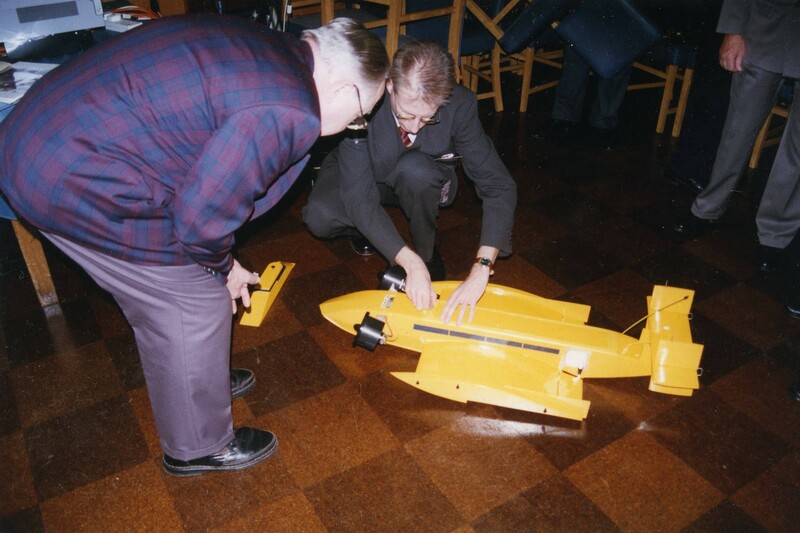 Mr Guther Jourg subjects the model to closer inspection.